Focus and refine your valved-bending technique with PT Gazell, master of the half valved diatonic harmonica! Learn to use valved bends, emotional shading, and apply those techniques to the tunes “My Romance” & "Sugar"
10 lessons by the master himself! PT Gazell has earned his position as a master of the diatonic harmonica. After years being the sought after side man and session player for some of Nashville's greatest, PT Gazell discovered half valving and his music literally soared to new heights. 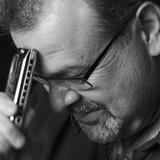 In this course, you'll learn to master valved bends on the harmonica and practice using them in songs. PT is a truly inspiring harmonica player and a great educator. Grab your Gazell Method key of Ab half-valved harmonica and let's go! If ever you need assistance, you can contact PT directly using our tutoring feature on this page! Are you stuck with the course? Do you have a burning questions or want some feedback? No other player combines his phrasing, melodic style, song choices and improvisational abilities… his singular style may draw comparisons to Nat King Cole, Benny Goodman, Louie Jordan, Ben Webster, Sweets Edison, Tiny Moore, Wes Montgomery, but in the end, it is a style all his own. Using his own signature model instrument, the Gazell method diatonic manufactured by Seydel, PT proves that the harmonica is capable of much more than what most of us believe. You can contact PT directly for 1-on-1 tutoring, or check out his selection of courses to learn half-valving from the master himself.